One of the great things about being on a cultural tour of Cuba was all the interesting stuff we learned about the arts, culture, history and people of this fascinating place. Our first morning in Havana started bright and early with a lecture by highly esteemed Cuban architect Isabel Rigol, PhD. Isabel came well prepared with a slide show and five hundred years of Cuban architectural history to enlighten our group over the next hour and a half presentation. Much of Havana’s architecture is influenced by her four hundred years of Spanish colonial rule. 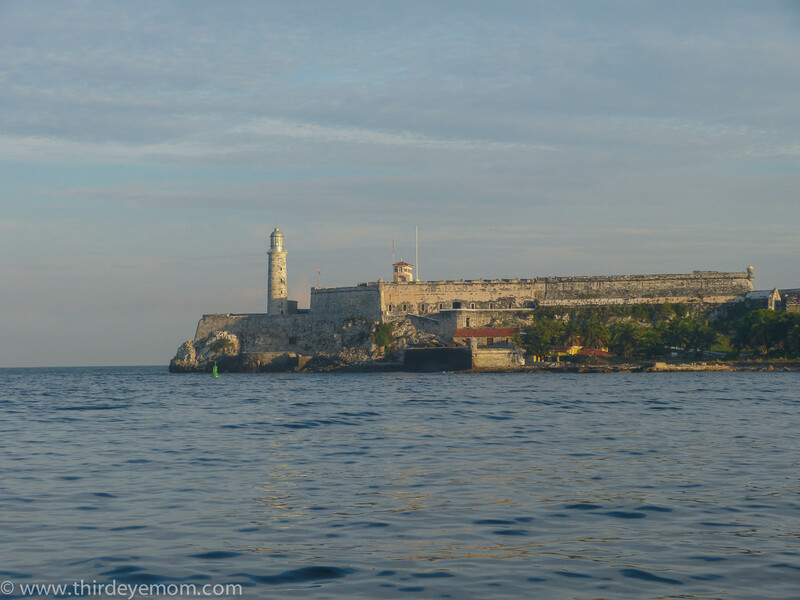 Havana was settled by Spanish conquistadors in 1511 who basically wiped out the entire indigenous population and established seven villas or towns across the island. Havana was the most important place to build a grand city due to her strategic location overlooking the narrow channel entering into the Bay of Havana. An impressive fortress was built on each side of the channel offering protection from invading ships. Castillo de los Tres Santos Reyes Magnos del Morro with the lighthouse. This castle was erected between 1589 and 1630 to protect the entrance to the harbor. During the 16th and 17th centuries, religious constructions were very important as the Spaniards grew Catholicism. Impressive cathedrals were built throughout the city following the popular Baroque architecture of the times. Homes were built simply with steeped roofs made of clay shingles, however, the inside of these homes had incredible moorish ceilings made from precious timber and reflected Cuban’s Andalusian roots.